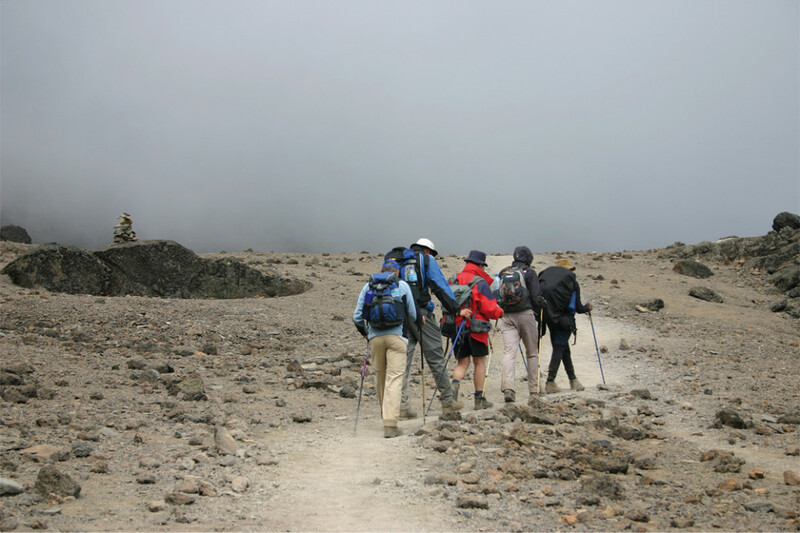 The Machame route is one of the most beautiful trekking routes on Mt Kilimanjaro. The trail starts in a rainforest with views of Mount Meru, Shira Ridge as well the main summit of the Kilimanjaro – Kibo peak. The Machame route has more steep passages at higher altitudes than for example the Marangu or Rongai routes and requires a higher level of fitness and determination of the mountain climber. A long day with a beautiful climb through the mountain forest. Monkeys and ferns. Wonderful views of the Shira ridge and Kibo peak. The route is shorter than the previous day. Up and down to acclimatise. Today is a longer hike with stunning views and diverse vegetation. The hike begins with a steep ascent over the Barranco wall. Up and down with views of the southern glaciers. The altitude will become perceptible. Depart at midnight on a very steep, long climb to Stella Point. 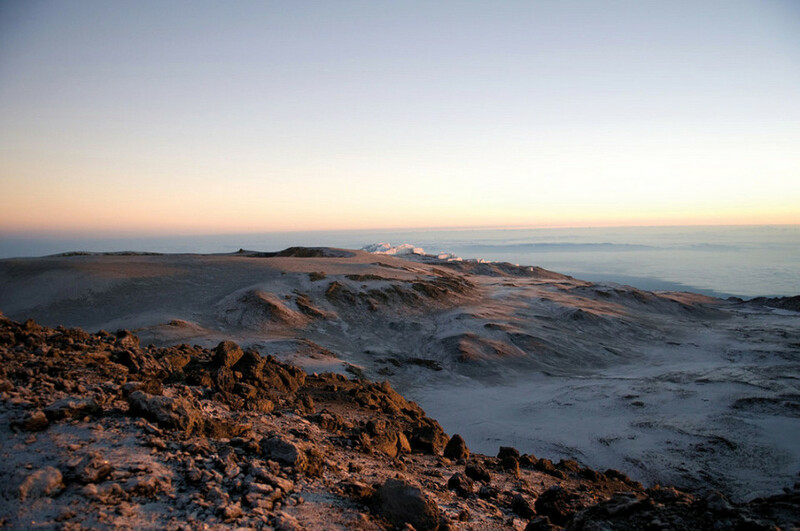 Panoramic views of the crater as the sun rises. Continue from crater to summit. Steep, fast and dusty descent. Easier descent on good paths. The last section passes through the misty forest. Arriving at Kilimanjaro airport, you will be met by our transfer driver and taken to the Keys Hotel in Moshi. The rest of the day will be free. Relax at the pool or explore the small town of Moshi. Later you will meet our operations team who will brief you on what lies ahead. After breakfast, you will be collected from your hotel and taken to the Kilimanjaro National Park - a 45-minute drive. After some paperwork at the gate and the porters loading up, your adventure will begin; after a few minutes you will be deep within the forest with ancient trees, ferns, mosses and black and white colobus monkeys frolicking in the treetops. 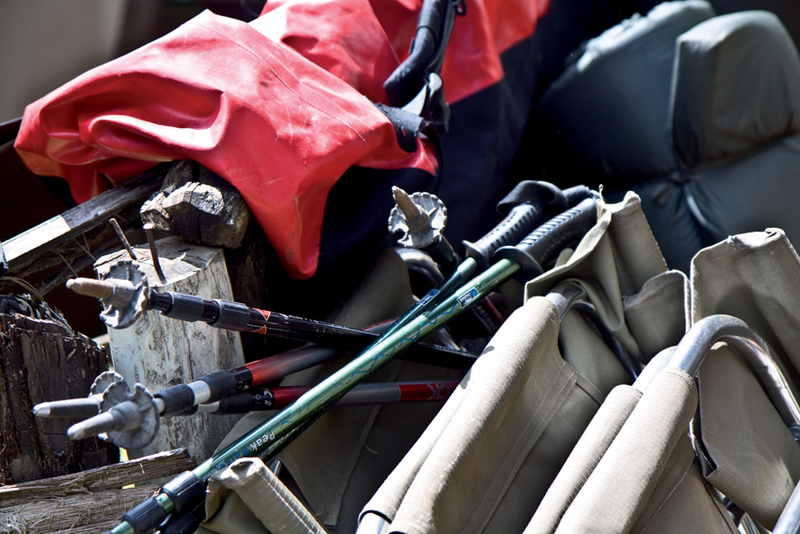 After 5 - 6 hours you will reach - Machame Camp situated just above the forest line at 3000m. 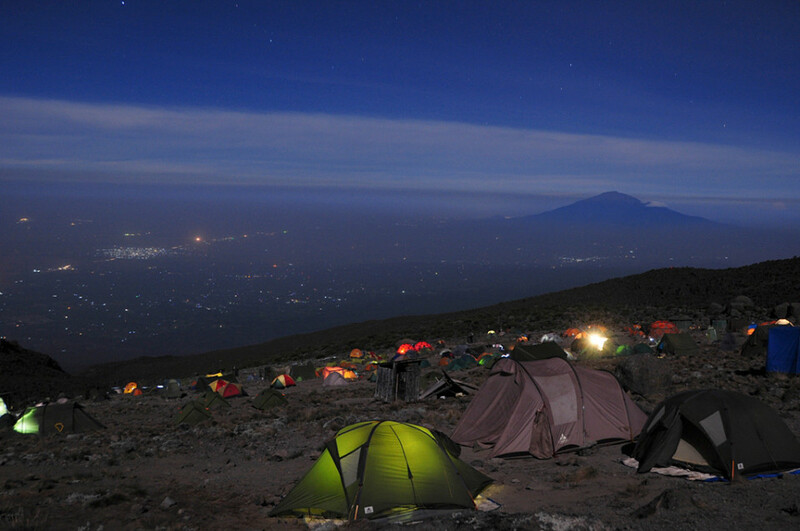 Arriving here, the porters have already set up your tents and warm water for washing will be ready. Today will be a day for ups and downs. You will ascend almost 700m but descend again after reaching the imposing Lava Tower (4640m). This will help with acclimatisation as you will reach a height of over 4500m. You will move through different vegetation zones. After reaching Lava Tower the path traverses Barranco Valley dotted with the weird-looking senecios. Barranco Camp is reached after 6 – 7 hours. Considered the most beautiful camp on the mountain, the camp is situated just below the imposing Barranco Wall. Rest and refuel tonight. The first section of today's route is to scale the 'Barranco Wall'. Use your hands and feet. Safety is paramount and you will be secured if necessary, but it looks more daunting than it actually is. The trail continues with many up and down sections, crossing a few streams, winding and climbing stopping for lunch in the Karanga Valley. After lunch there will be another 2 - 3 hours climb before you reach Barafu Camp (4640m). Tonight, drink a lot of fluids, try to eat and go to bed early to rest enough before tomorrow's summit trek. You will be woken in the midnight hours with a cup of tea and biscuits. Dressed warmly and geared with a headlight and your daypack you will set off in the darkness. After 5 - 7 hours of 'pole pole', you will reach the rim of the crater, Stella Point. Another one to two hours of going slowly along the crater's edge and you will arrive at the summit - Uhuru Peak (5895m). Looking down over the surrounding landscape in the early morning light, will make you feel on top of the world. You have now reached the 'Roof of Africa'. The descent should be easy but dusty, as the volcanic ash will now have defrosted. Returning on the same route you should arrive at Barafu Camp within a few hours where the porters are waiting with food and tea. Resting for an hour or two, you will continue down to reach Mweka Camp (3080m) for your overnight stay. Last day on the mountain. After breakfast, the crew will celebrate your achievement with a traditional song as part of their farewell ceremony. You will present them with their tips. Setting off and descending into the moist green forest, it should take about three hours to reach the gate. Back at the Keys Hotel in Moshi hot showers and cold beers wait. There you can revive yourself and celebrate your achievement. After breakfast, you can continue on a safari (optional) or take be transferred to the Kilimanjaro airport. - The Machame Route also known as the ‘Whiskey Route’ is the most picturesque route and offers hikers spectacular views of the summit. However this is also the route with the most exposure to unpleasant weather conditions such as rain, clouds and fog. On the other hand, this is the reason why the vegetation here is so beautiful and dense. Seeing that the Machame Route is steeper and because of all the ups and downs, this route is physically more demanding than the Marangu and the Rongai Route. The descent follows the Mweka Route. - Overnight accommodation will be in two-man tents and sleeping mats are provided. Single travellers usually share a tent with another group member of the same gender. Single tents can be provided on request at additional cost. - There are no ablution facilities except for basic long drops (very simple latrines). - Breakfast and dinner are served in a mess tent that is equipped with a table and chairs while lunch is en-route.